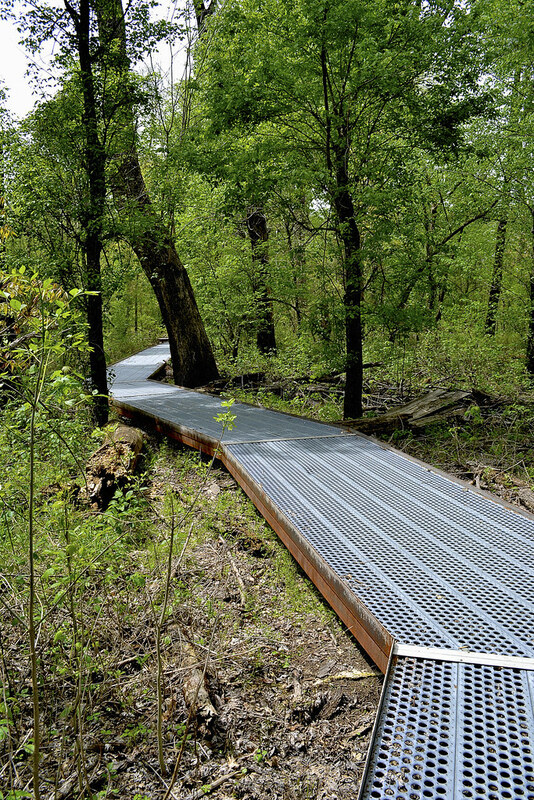 Local Treks: Hiking Missouri and More: Big Oak Tree State Park: Take A Stroll With Giants. Real-life giants reside in a small conservation area near East Prairie, Missouri. These behemoths tower silently over the swampy land. As we strolled among these quiet colossi we gained a unique, native view of Southeast Missouri and were afforded a free trip back in time; as Big Oak Tree State Park is one of few areas that reflects the original swampy land that the early Native Americans and settlers explored and lived in centuries before us, earning it a Missouri tag as a Natural Area. As we journeyed over the Boardwalk Trail it was amazing to see traditional Missouri hardwood forest with exquisite oak, hickory, sweet gum and sugarberry transform into an environment that would seem to be more at home in Louisiana; a soupy swamp featuring a champion pumpkin ash, bald cypress, swamp privet, button bush, swamp locust, and large black willows, all within a just few yards. After a tour of Big Oak Tree State Park visitors can certainly see why we locals call the bootheel "Swampeast" Missouri. 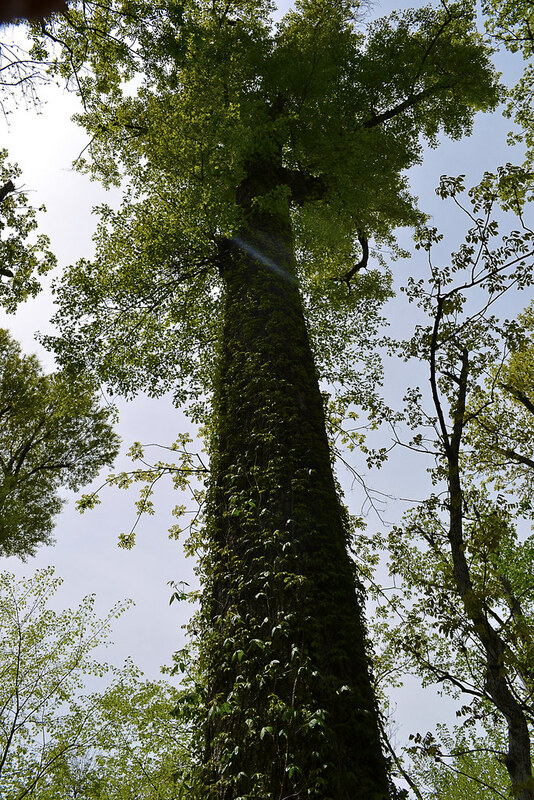 Many current and past champion trees call Big Oak Tree State Park home. 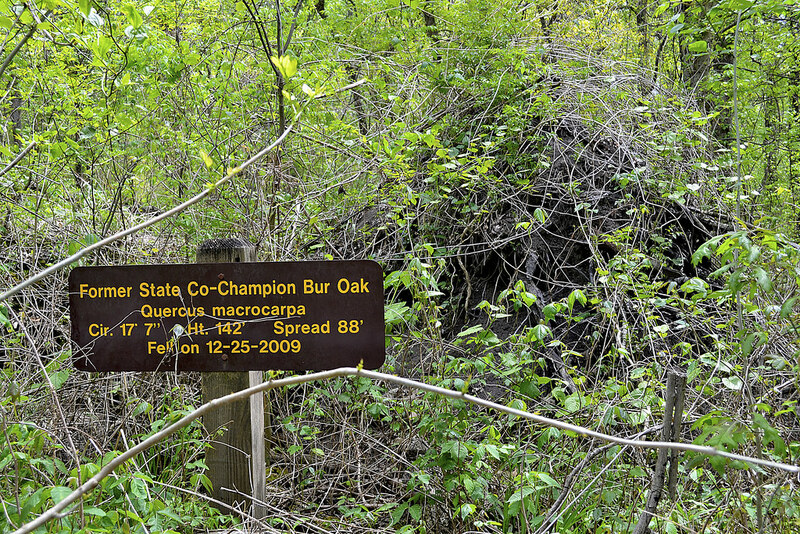 In fact, this Missouri state park boasts more champion trees than any other location in Missouri, earning it the nickname "The Park of Champions". According to what I have read the park's two National Champion trees are a Pumpkin Ash with a 118 foot circumference that stands over 150 foot tall and a Persimmon that is 97 foot in circumference and reaches 133 foot in height. Just to provide a quick comparison of just how mighty these mammoths are, an average Persimmon tree stands about 60 foot tall, the noble Persimmon Champion in Big Oak Tree State Park more than doubles that figure! If you want to see the champion Persimmon you will need to take the1.5 mile Bottomland Trail. I'll be honest, even the VINES here are MASSIVE! You can find vines growing up these majestic giants that are reminiscent of creeping vegetation I've only seen in Indiana Jones movies. Be careful though, some of those vines are poison ivy; others include wild grape, peppervine and Virginia creeper. 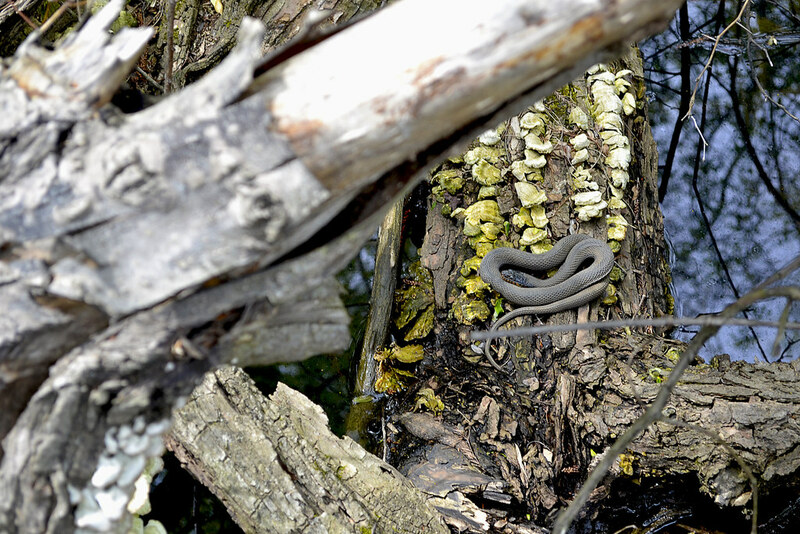 A unique native habitat provides for diverse life. Big Oak Tree State Park is a perfect place to take the kids and have a great day out. The park itself boasts a large picnic area that is near both of the trails and feature barbeque grills, picnic tables, playground, and a large shelter (just in case the weather changes). 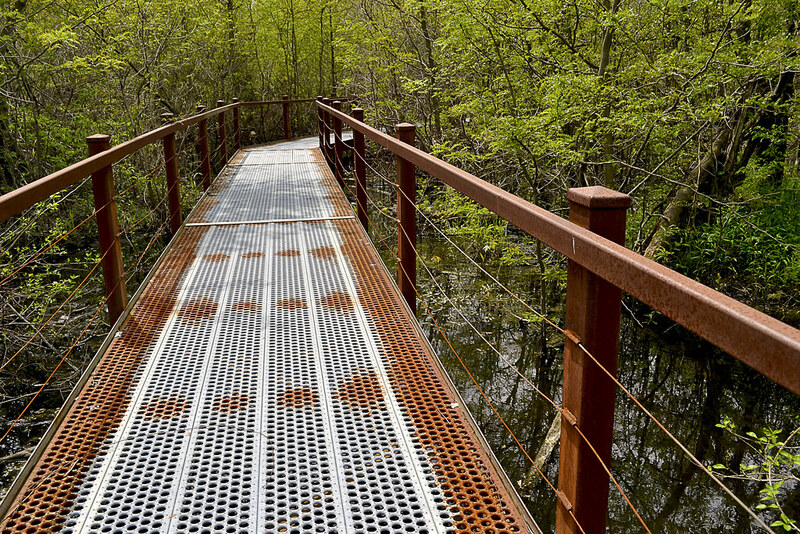 The Boardwalk Trail is a beautiful and easy walk, the suspended metal trail keeps you dry and your shoes dry as you make your way through the bottomland forest and into a real Southeast Missouri swamp. However, if you are looking for the Interpretive Center which is located at the trailhead for the Boardwalk Trail, it is closed, with a No Trespassing sign blocking the stairs. Thank you for reading, I hope to see you out on the trail! Visit Local Treks on facebook! National Geographic "Backyard Bird Identifier"